Peach Garden Chinese Restaurant is a well known brand for exquisite Cantonese cuisine. 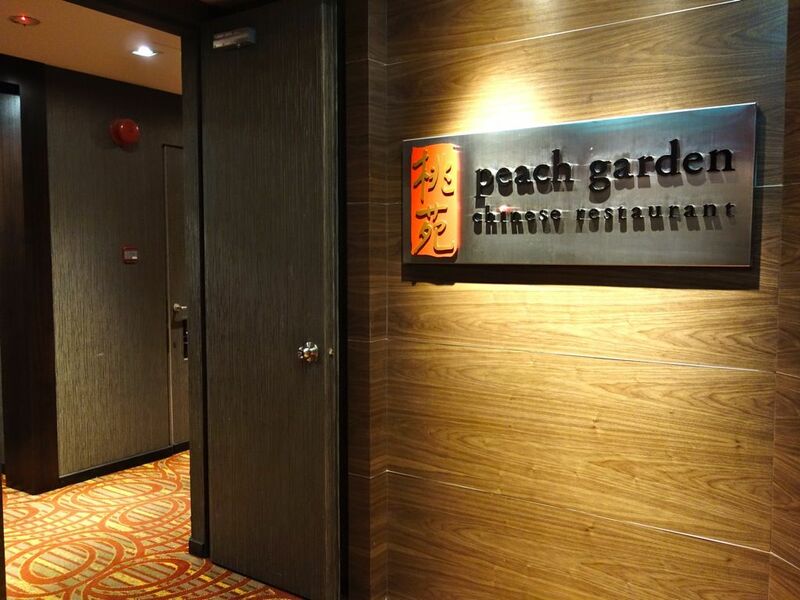 Since the opening of the first Peach Garden outlet at Novena Gardens in 2002, they have received numerous accolades and awards from renowned publications such as Singapore Tatler’s Best Restaurants Guide and Singapore Top Restaurants Award from Wine & Dine. 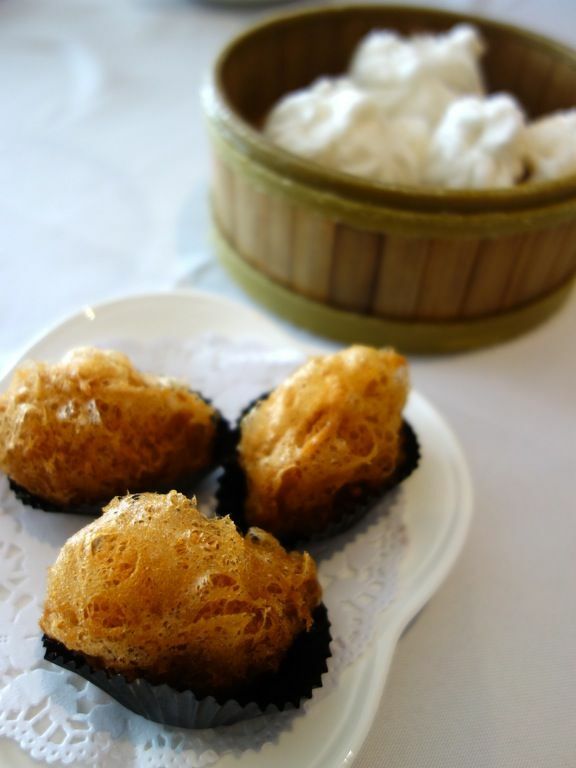 We were bringing a friend around town and decided to have dim sum at the Peach Garden OCBC Centre restaurant as it is known to have a great view of the city. We surely weren't disappointed by the view! It was a little hazy but still rather impressive. Only a small selection of dim sum items are available, i noted only 18 items. 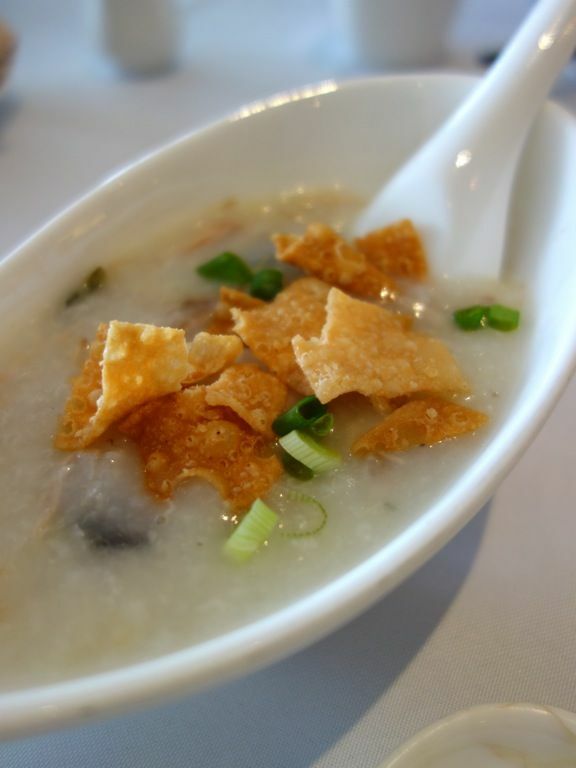 Century Egg Porridge is a must order for me when eating dim sum. Good gluey consistency of the congee and there was plenty of shredded pork. Love the crispy crackers on top too. I liked the presentation of the Steamed Shanghai Xiao Long Bao ($5.20). 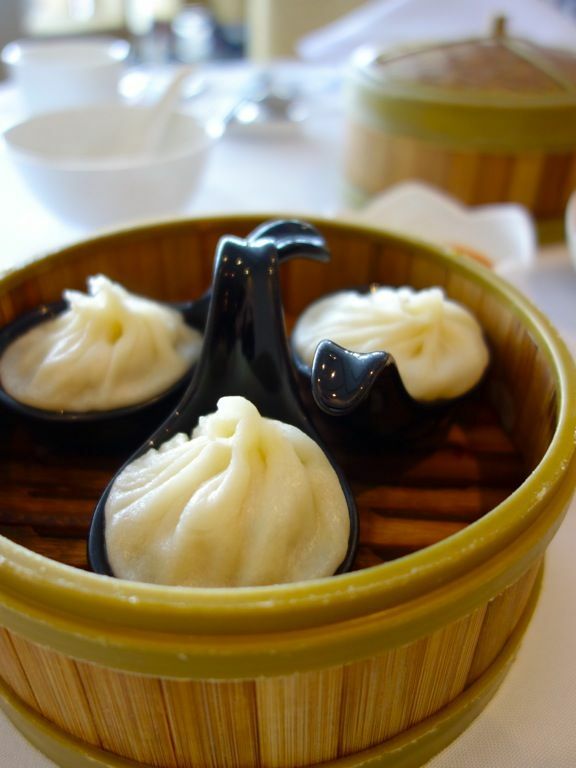 You don't have to worry about splitting the dumplings filled with flavorful pork broth. Peach Garden supposedly has one of the better Steamed Creamy Custard Buns ($5.20) around. The buns were fluffy and light but i found the texture a little too gelatinous and it lacked that 'liu sha' (flowing lava) feel. 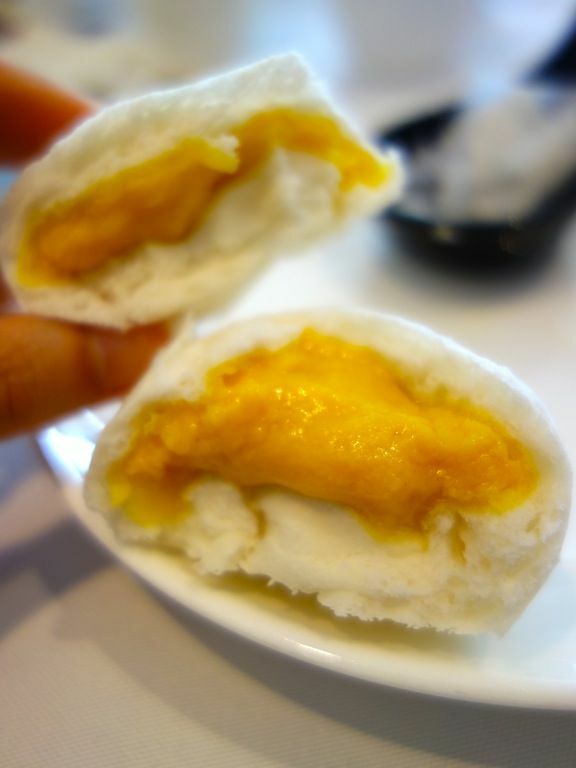 Taste wise, it was satisfactory but i thought it could do with a richer salted egg yolk taste. 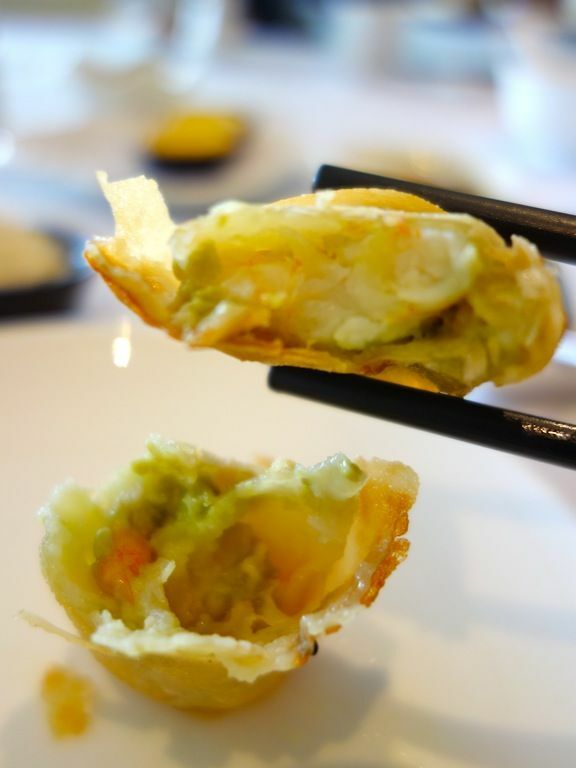 Deep fried Prawn and Fresh Avocado Roll ($6) was just like any regular fried dimsum item. The ingredients didn't quite come together to give the dish an identity. I wouldn't recommend this. Baked Mini Egg Tarts ($4.80) were delightful but yea on the pricey side because they're so mini. But yea love the wobbly egg custard on top of the lovely puff pastry. 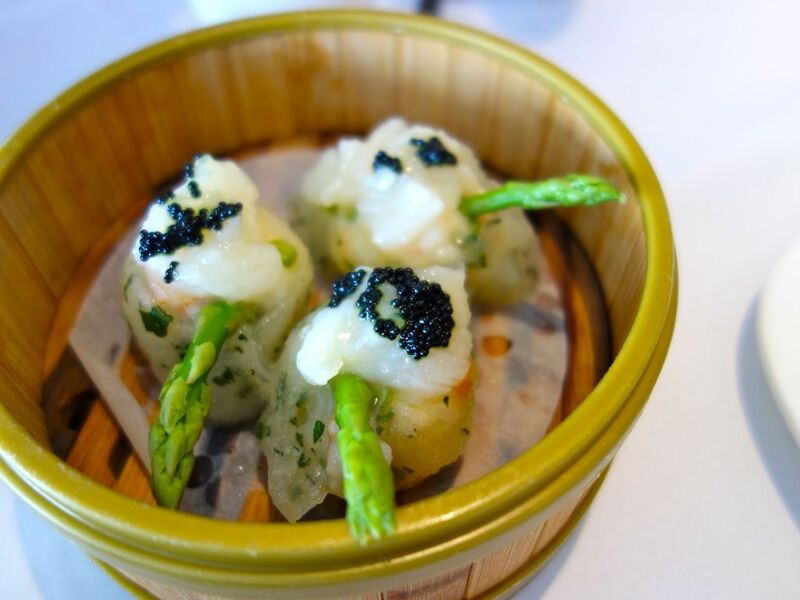 We ordered the Steamed Fresh Prawn Dumpling ($6.30) but instead we got the Steamed Fresh Scallop Dumpling with Asparagus ($6.80). I didn't even realized that they got the wrong order. And so began the the unfortunate dining experience with the service staff. Well it started with the staff being rather pushy when i was ordering our first round of dim sum. Firstly, we were waiting for S who was parking so i didn't want to order everything at one go. Secondly, i have a tendency to over order (especially for dim sum) so i was making a conscious effort not to go crazy. However, that was met with some outwardly disdain by the staff (due to my small order) which i absolutely do not appreciate. Do i look like i can't afford dimsum? So i reigned in my unhappiness because i was hosting a friend. The screw up was when they absolutely messed up our second order which took forever to come. 15 minutes into waiting, our plates were cleared after they asked if we were waiting for more food, which was strange. Well we thought our food was going to arrive soon after but nope, that didn't happen. Another 10 mins later when we checked with them again, we found out that they forgot our order (which they didn't tell us directly but we saw and overheard the commotion). Another 10mins passed before our order finally came and it was the wrong order. We had to make do with the messed up order because obviously we weren't going to wait for another 30 mins. The Deep fried Savoury Yam Pudding with Minced Meat and Portugal Sauce ($5.20) was really oily in the middle and i had to drain the oil from inside. It also lacked in the yam and filling department. The Steamed BBQ Pork Bun ($4.80) attempted to calm me down a little. 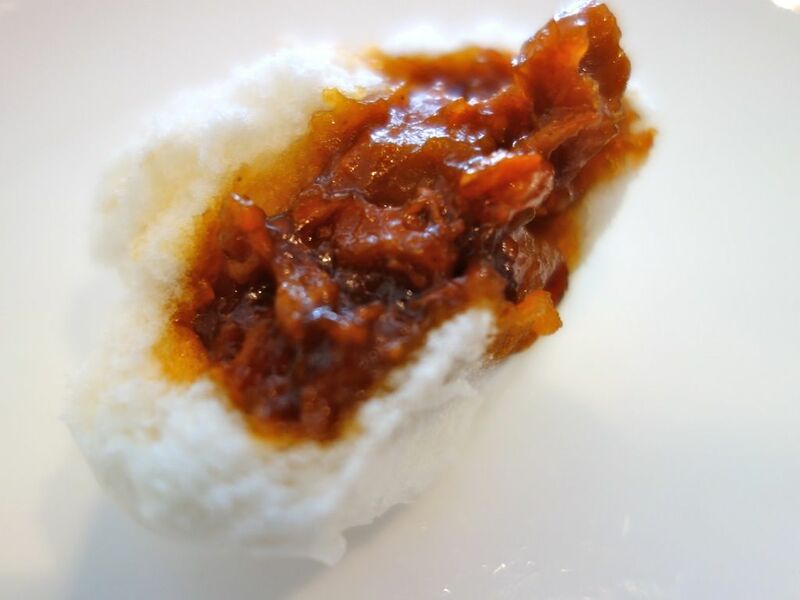 Juicy well marinated strips of char siew enveloped by the softest pillow bun. What happened after the meal was an instagram post on the meal and me complaining about how terrible the service was. I have to applaud the Peach Garden Marketing/PR team for resolving the issue immediately. Good service recovery i must say. I've been informed that the staff involved have been counselled. I don't know if it's special treatment because i'm a food blogger but i would like to give them the benefit of doubt. So yea, hits and misses at the Peach Garden OCBC Centre. If you're looking for decent dimsum with a view, it's ok. Well on the service end, it really depends, no matter where you go.